Does Your Business Need an Employee Handbook? — LiftForward, Inc. Does Your Business Need an Employee Handbook? As a small business putting together an employee handbook might seem a bit silly and time intensive, especially if you have a small team where it’s easier to just let every one know what the policies and procedures are. But what about when your team starts to grow, or you get asked for the 5th time what the vacation policy is, it might be a good idea to have a document or manual employees can refer to, even if it’s just for basic questions. 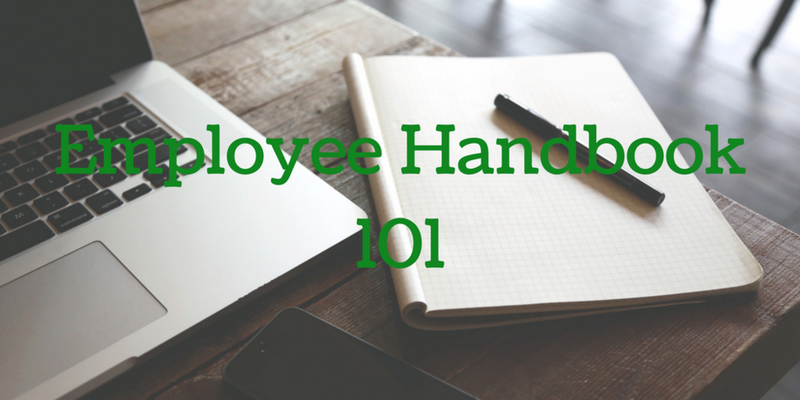 Your employee handbook can be as simple or as complicated as you want it to be. An employee handbook is used to inform employees about their job responsibilities and the expectations set forth by you, their employer. It outlines the rights of the employee and the legal obligations of the employer. The purpose of the employee handbook is to protect the business as much as the employees and helps clarify what both parties should expect. The tone of the book can be as serious or as fun as you want and is a great way to help establish the kind of company culture you want to achieve in your business. There’s lots of resources out there that can help you put together an employee handbook, we love this one from the SBA, or you can check out these 6 examples of inspiring employee handbooks. You can also find guides on federal labor laws at osha.gov and small-business resources and contact information for state labor agencies at dol.gov. Besides the general legal jargon, policy on discrimination, harassment and federal labor laws here’s a few things you should include. Tell employees a little bit about the company and how it got started. Share the company mission and how you will serve your customers, community and employees. Is your organization flat with just a few managers to guide projects and teams? Or is there a formal hierarchy system in place. Is Taco Tuesday or Thirsty Thursdays a tradition? Maybe there’s a yearly ski trip or a day at the beach. Include it in the handbook. Are suits and ties required for meetings or can you wear cargo shorts and flip flops everyday; be sure to cover the dress code to avoid any fashion faux pas. Is work life balance an important part of your company, this is the place to include it. Talk about what the typical office hours are and what your policy is on checking emails after work hours. Do you offer perks like snacks in the office, a bike rack for those that commute on two wheels or office yoga, let employees know what amenities the office will offer. Do you have yearly performance reviews? Whether they’re peer reviews or done by a manager, it’s important for employees to know how they’ll be evaluated. How many vacation/personal/sick days does each employee get? Does the amount of vacation time increase after X amount of time of employment. How much notice must be given to take a vacation or personal day. What is the policy on sick days, do they need to ensure there’s coverage, will they need to provide a doctors note after 5 days. What holidays does the company observe, what is the policy if the holiday falls on a Saturday or Sunday, will employees get Monday off if the holiday falls on a Tuesday, or Friday off it’s on a Thursday. You should also mention family medical leave, jury duty, bereavement and other types of leave. Does the company offer health/vision/dental insurance? Is this available to all employees or just full time? Are they eligible for insurance right away or is there a waiting period. What is the process for adding on a beneficiary for health insurance. Does your company offer a 401k, is there a company match. Do you offer stock options in the company to employees, at what point are they eligible. As you can see there's no limit to what you should or could include in your company's employee handbook, and it doesn't have to have all the answers but it should be a good place for any new employees to start when they have a basic question about the company. And our last piece of advice, have a lawyer look it over, it can help your business avoid potential lawsuits involving employee behavior that is or isn’t outlined in the handbook.